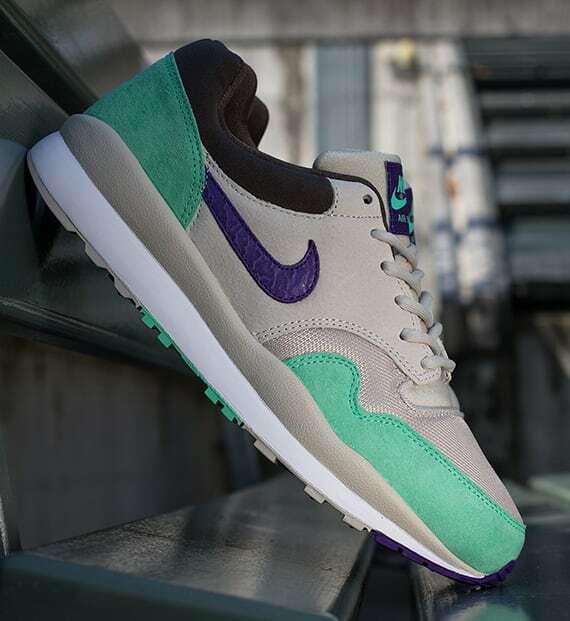 Nike Air Safari "Mortar/Electric Purple–Green Glow–Pottery Brown"
A welcomed sight, Nike returns to deliver a Hornets-esque look on its Air Safari silhouette. It&apos;s been a minute since the consistent string of Safari releases hit, but we can&apos;t be made now getting a look at the new, above iteration. The pair has been done up in suede and mesh and showcases green and purple accents over-top a Mortar-colored upper. If you like what you see in the fresh Air Safari set, you can purchase &apos;em today through Nike Sportswear dealers like Titolo.